I”ve read the Moderncat blog for a long time (and I’m sure our three cats approve of this). Today I discovered that Moderncat has a new blog called CattooDesign. It is, as you can guess, a showcase for cat tattoos (I mean, human tattoos with a cat theme, not tattoos on your actual cat). One thing I really liked about the site is that they sell temporary tattoos that have a cat theme. If you like cats and tats, please do check out CattooDesign. It’s a keeper. The other day, I was standing in line at the local Walgreens and looking at the array of goodies they had placed along the front counter to entice people to make impulse purchases. In among the usual candy, lip balm, toothpicks and other vastly appealing items I noticed a small display box of what looked like small tins of shoe polish. Looking closer, I saw that the shoe-polish-style tins actually contained Rocco’s Old School Tattoo Healing Balm! I was delighted to find such a useful product in such a tempting position in the store. This just reinforced my feeling that tattoos are becoming so popular that the products one uses to help heal them aren’t just a niche item any more. I’ve never used this product and I have no link to the manufacturers. I was just happy to see a tattoo product right out where people could grab it on their way through the Walgreens checkout. I need to go back in there one of these days and see what other tattoo related products I can find. I’ve already mentioned that Burt’s Bees Hand Salve contains almost the same ingredients as Tattoo Goo–maybe the Tattoo Goo is there on the shelf as well. 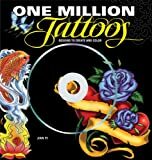 I recently found a book called One Million Tattoos: Designs to Create and Color at the library. It’s targeted at the young-adult audience, and comes with a CD containing the “one million” designs. I thought it had possibilities, so I checked it out. The “one million” is somewhat of a stretch. It counts all the possible variations on the designs, including the different ways they can be combined and the different ways they can be colored or altered. The designs themselves are fairly standard and include old-school-style sailor flash, fairly generic tribal designs, and Asian style fish and birds, among others. To tell you the truth, I wasn’t particularly impressed. Of course, I am way beyond its target age range, so that probably had a lot to do with my reaction to it. There are instructions for using Photoshop and other draw/paint applications to fill in the colors and manipulate the images (which are all black and white line art) and there are some suggested combinations of the images for inspiration. I just heard about a great new resource for people who plan to get a tattoo. On this web site, you can upload your design and try it out on a photo of yourself, or on one of the site’s models. There’s a large collection of pre-made tattoos to try out, too. You’ll need to sign up to use the site, but that’s free, and so is the tattoo try-out. Definitely worth a look! Sorry I haven’t been posting much lately–life is what happens to you while you’re busy making other plans! Are you concerned about how your ink will look later on? Up till now, I’ve let people comment without registering first. But due to the flood of spam I’ve been getting lately, I’ve been forced to change the policy. Now only people who register can post. 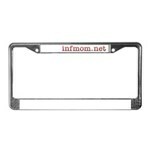 Registering is free and you have my promise that I will never use the information you provide for any purpose whatsoever. Someone who hates spam as much as I do isn’t going to spam anyone else. The documentary “Ancient Ink” has been one of the more popular discussions here, and I’m very pleased to announce that the producer/writer of the show has joined the thread, and now we know where to find the show on YouTube. You can see this discussion here. Be sure to thank Dan for such a great show.